While it may not yet qualify for classic car tax and insurance, there is no doubt that the Porsche 993 is a true Classic. Manufactured between 1993 and 1998, the last generation of air-cooled 911 boasts superb driveability and stunning looks. That combination, along with the rarity factor of a relatively small production run, have helped 993s to maintain their value. And with prices starting to rise, many experts now view them as good investments. A Porsche 993 is likely to be a good investment. Buying a Porsche 993 is a much more expensive proposition than buying its successors, the 996 and 997, and you will need a budget of around £30,000 even for a Cabriolet in need of work. A good early 272bhp Carrera 2 coupe is likely to cost you upwards of £45,000, with the post-1996 285bhp VarioRam versions even more expensive. There are also Targa and Tiptronic models available in the same £40,000 to £60,000 bracket, along with the Carrera 4, Turbo and 450bhp Turbo S for those of you with bigger budgets. Lottery winners may prefer the lightweight RS or the staggering performance of the 184mph GT2. The whole range were fantastic cars and should still be, as long as they have been well looked after. The list of issues to look out for below may seem quite lengthy, but given the age of the 993 range and the fact some of the problems are relatively minor, it demonstrates what durable machines they are. If you have any doubts about the 993 you have viewed or simply want some reassurance before parting with tens of thousands of pounds, Revolution Porsche can help. We offer a full Pre-Purchase Inspection service at our Brighouse workshop, with an air-cooled Porsche expert carrying out the checks to help you spot any potentially expensive problems or to give the car a clean bill of health. The Porsche 993 range was superbly well made but as they are all at least 17 years old, you need to know that the car you are viewing has been properly cared for. The best sign of that is a full service history, with all work carried out by OPCs or reputable independent Porsche specialists. Be very careful about any 993 for which the history is not available, as it may be a sign that previous owners have skimped on maintenance by skipping services or having work done at non-specialist garages. The lack of documents may be reflected in the asking price, but that won’t necessarily mean the car is a bargain and, at the very least, you should have a full inspection carried out by a Porsche expert before even considering parting with your cash. In an ideal world the service book would be accompanied by invoices for all work carried out since the car was new to allow you to check that the right parts had been used. However, you need not worry too much about older wear and tear jobs, as the parts will probably have been replaced again anyway. An invoice you definitely do want to see is the one for the last service, which will feature a list of advisories. Check to see which jobs are still outstanding, as this will allow you to estimate the likely maintenance costs of your first year of ownership. A full service history is a must for any used Porsche. 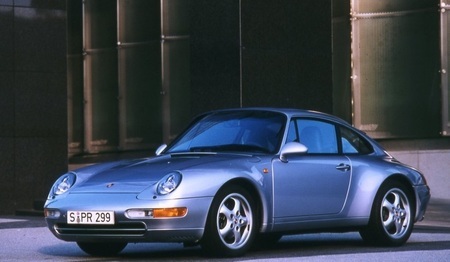 As demand for Porsche 993s far outstrips supply, you can’t really be too picky about mileage. If you want a sub-40,000 model, it could take months to find and you will have to pay a substantial premium to secure the car. Mileage shouldn’t be a worry anyway, as the 993 was well designed and made, and boasts a highly durable engine. You can expect a 993 with 100,000 miles on the clock (hardly an excessive figure given its age) to still be going strong as long as it has been well maintained. The bodywork on the Porsche 993 is high-quality galvanised steel, so has a good level of corrosion resistance. Any signs of rust on the body are likely to be evidence of poorly-repaired accident damage and you should take a look at the car’s history for more information (another telltale sign that a 993 has been repaired after an accident is if the chassis legs have been sprayed to match the bodywork – they only had a white base coat when they left the factory). However, as you would expect with a car of this age, there are some areas that are susceptible to corrosion. One key place to check is around the front and rear windscreens, as the screens often flex, which allows water and grit to get in under the rubber seals. This probably won’t be obvious from a quick external inspection and you should carefully pull the seals back to look for rust bubbles. This can be treated and repainted, but the glass has to be removed to allow the work to be done and it can prove to be a costly repair. If you do spot rust around the windscreens of an otherwise sound 993, ask a Porsche specialist to take a look and give you a price for the job so that you can factor it into your offer for the car. Similarly, check under the headlights (which can be removed using a lever in the boot) as trapped dirt and grit can damage the metal, leading to corrosion. This rust can also be treated. Another spot where corrosion is known to occur is the rear chassis legs, but this is almost impossible to see unless you know exactly what to look for and how to remove the rear bumper to check. If this problem is identified during your pre-purchase inspection, it shouldn’t necessarily cause you to walk away from the deal, but you will want to negotiate a discount of a few hundred pounds off the asking price to pay for it to be repaired. Some 993 owners have also noticed that the rear bumper support brackets can corrode, but this is simple to check for. Give the bumper a bit of a push during your inspection and if it feels loose, the brackets will need to be replaced – although this is a fairly straightforward job for a Porsche specialist. Another area that can rust is under the front bumper and around the air vents next to the front wheels, where damage can be sustained if the nose is scraped against speed bumps. The problem, which may mean a new bumper, can be difficult to spot unless you have the ability to put the 993 on a lift and inspect the underside of it. A notorious issue on the Porsche 993 is failed door straps. It is easy to check for – just open the doors fully and listen out for a cracking sound, which is the telltale sign the straps have gone. Replacing the straps is an expensive job, but it is not absolutely essential and you may prefer to live with the noise and get into the habit of opening the doors very carefully. 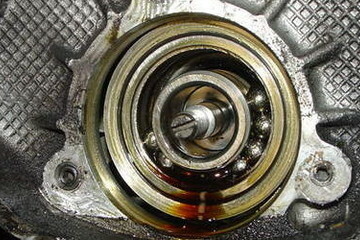 Porsche 993 engines can be heavy on oil consumption, so you should check for evidence that the recommended oil change regime has been followed and that there are no leaks. The information for the first bit of that should be in the service history, but looking for oil leaks is less straightforward. There are a number of places where leaks are known to occur, including various seals and the chain and valve covers, but not all of them result in the telltale drips on the ground under the car. You also need to keep an eye out for smoke coming from the wheel arches and the smell of burnt oil, which is a sign that oil is leaking via a failed cover and being burnt on the heat exchangers below. It is sensible to check the oil level, as a low reading may be a sign that the engine is using excessive amounts of oil or that there is a leak you hadn’t noticed. Wait until the end of the test drive to do this, as the engine needs to be at full temperature to get an accurate reading on the dipstick. If you do spot a leak or suspect there is one, seek some advice from a Porsche specialist about the extent of the problem. Many leaks are relatively inexpensive to fix and need not deter you from buying an otherwise great 993. One other thing to check is the oil temperature gauge. A high reading is typically the result of the oil cooler fan motor not working properly, a failed resistor or failed temperature sensor. Replacement parts for this are relatively inexpensive, but it can take a few hours to fit them due to the difficulty of access. The brakes on the 993 were among the very best on the market when the car was new and they should still feel good today. One thing to be aware of when you take a 993 out for a test drive is that you will have to push longer than you would in a modern family car with heavily servo assisted brakes. If you are concerned about the responsiveness of the brakes, head somewhere quiet and try an emergency stop – it should ease your worries! Brake pads and discs are wear and tear items that will need to be replaced at regular intervals, but it is worth checking their condition to see if you will need to shell out for new ones in the near future. The inside of the discs can score and pit (which would mean they have to be replaced) but this is difficult to spot without the help of a full pre-purchase inspection by a Porsche expert. The 993 GT2 is one of the best performance cars Porsche has ever made. The original suspension was more than capable of coping with British roads and the occasional track day, but unless you are lucky enough to find a freakishly low mileage model, any Porsche 993 for sale now will have had some suspension work done. Check the car’s history file carefully to ensure that the right parts were used and how long ago the replacements were fitted. Bushes and shock absorbers have a typical lifespan of around 40,000 miles, and fitting new ones will make a huge difference to the ride and handling of the car. The cost will depend on whether the car has the standard 993 suspension or some kind of sports set-up for which parts are significantly more expensive. Make sure you find out before you buy, as the difference it will make to the total cost of ownership is significant. Spotting suspension problems during a test drive is difficult as you won’t be used to the car and have no real idea of how it should feel. 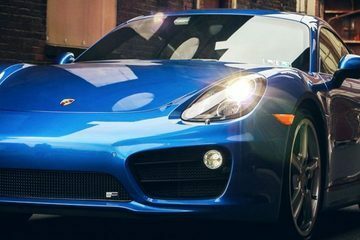 However, if the ride on bumpy surfaces feels particularly uncomfortable, the steering is vague or pulls to one side, or you hear a knocking noise from the rear of the car, it is well worth asking a Porsche specialist to take a look before you part with your cash. Replacing worn suspension components is an inevitable part of 993 ownership, but you won’t want to have to pay for them within weeks of buying the car. An inspection by a Porsche expert will give you an idea of whether bushes, dampers or ball joints need replacing imminently and an opportunity to negotiate a discount off the purchase price to cover the cost. The standard rules for used car buying apply here – carefully check the condition of the wheels and tyres before you complete the deal. Corrosion, often resulting from kerbing damage, is not an uncommon problem on alloys and if it is too advanced to have the wheels refurbished, replacing them can be an expensive business. The 993 Turbo came with 18” wheels as standard, while many Carrera buyers chose to spec their new car with 18” alloys instead of the standard 16” wheels, so you can expect new wheels to be pricey. N rated tyres are an unavoidable cost of Porsche ownership, but there’s no reason why you should be expected to splash out on a new set straight after purchasing a used 993. If the tyres of the car you are planning to buy are reaching the end of their life, make sure the cost of new rubber is reflected in the price. The electrics on any car of this age need to be carefully checked, so it is sensible to take the time to test all the switches when you inspect a 993. Common failures include electric windows and seat height adjuster motors, but both are relatively cheap to fix. The Porsche 993 came with an alarm system fitted as standard, but it was notoriously problematic and some owners eventually grew tired of it going off for no apparent reason and replaced it with an aftermarket alarm. Make sure you ask about which alarm the 993 you are considering buying has in place, as you may have to inform your insurer about a non-standard system. If the original is still in situ, check that it works correctly – and not only because a failing alarm system is an annoyance. Problems with the alarm can be a sign of other issues, such as damaged wiring, the battery being on its last legs or water ingress around the door seals (the alarm module is located under the driver’s seat). The exhaust needs careful inspection, as both the heat shields and silencer welds are prone to corrosion. Once the rust sets in, it is inevitable that the parts will need to be replaced, so it is well worth getting the 993 up on a lift to get a good look at the underside and check that the exhaust is in a reasonable condition – something we would do as part of a pre-purchase inspection. One thing to remember is that on a car of this age many of the exhaust components will have been replaced, either due to corrosion or because the owner wanted to upgrade to a sports set-up. Check that the new system will pass an emissions test and, if it was chosen to increase the noise, consider whether you would be happy to live with the sound in everyday usage. Replacing the air conditioning unit in a Porsche 993 is an expensive business, so it is a good idea to spend a few minutes testing that it works correctly. The vents should all be able to blow both cold and warm air, and if they don’t you should investigate what the problem is. It could be something as minor as a failed resistor in the air conditioning fan motor or the system needing a regas, both of which are simple and relatively inexpensive to fix. But if the unit has failed completely, you could be looking at a four-figure bill to replace it. The manual gearbox in the Porsche 993 is excellent and it is unlikely you will find a problem with it, as long as the previous owners have followed the recommended gearbox oil change regime. The clutch also proved very durable, with a typical life of more than 70,000 miles, but it will almost certainly have been replaced at least once so check the car’s history file to make sure the right parts were used and that the work was completed by a Porsche specialist. Both the initial Tiptronic and the later Tiptronic S auto gearboxes have also proved to be highly reliable. As with any sports car, the Porsche 993 attracted some enthusiastic buyers who loved to tinker with the appearance and performance of their car. As such, it is not unusual for used 993s to have had some kind of modification. Ask whether the car you are interested in buying has had any modifications and for full details of the work, as it can affect the way the 993 needs to be maintained and you may need to inform your insurer of the changes. Performance upgrades and spoiler kits could also be an indication that the car has been regularly thrashed at track days, so you may wish to get a specialist to inspect it before completing the purchase. 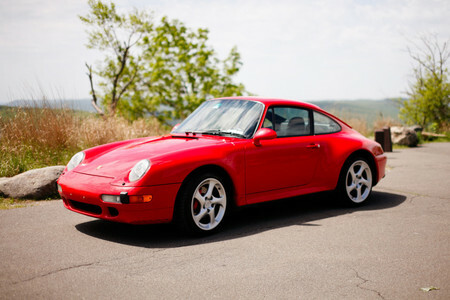 If you are considering buying a used Porsche 993, Revolution Porsche can help to reduce the risk involved. Book the 993 you are interested in into our Brighouse workshop for a Pre-Purchase Inspection and our experienced Porsche technicians will carry out a full visual and diagnostic check before compiling a comprehensive car condition report. The inspection costs £150 +VAT, with the additional reassurance of a borescope inspection available for a further £99 +VAT. Call us on 01484 717342 or contact us via the website to find out more or to book a car in. Thanks to Juozas Kaziukenas and The Car Spy for use of the images.